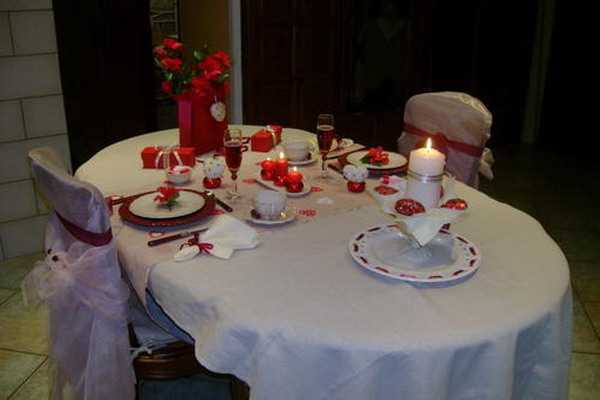 Creative Valentines Day ideas allow to set gorgeous table decor with no stress and spending money. 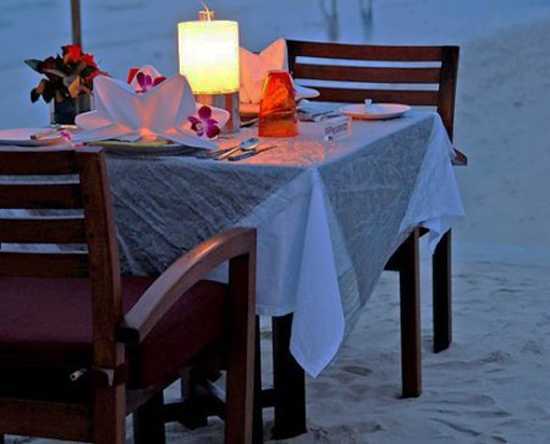 Romantic table decoration ideas can be simple, elegant and inexpensive, but create wonderful atmosphere for a special romantic dinner or a single-lady party. 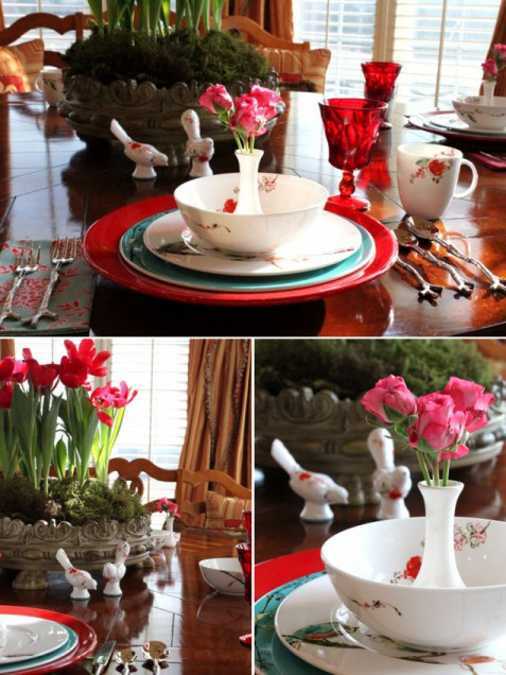 Reuse and recycle decor accessories that you already have for romantic Valentine’s Day table decoration. 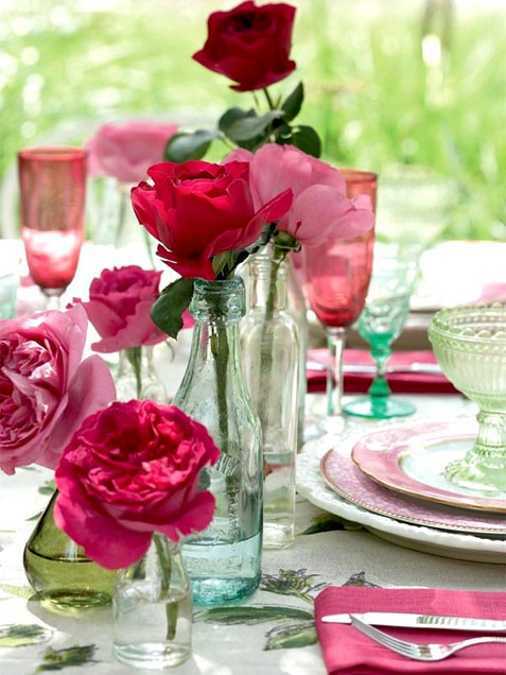 Turn everyday glassware into a colorful table decorations and centerpieces, adding small candles in lilac, pink and red colors to glass jars. Lace fabric pieces and ribbons around them make the display festive and very special. 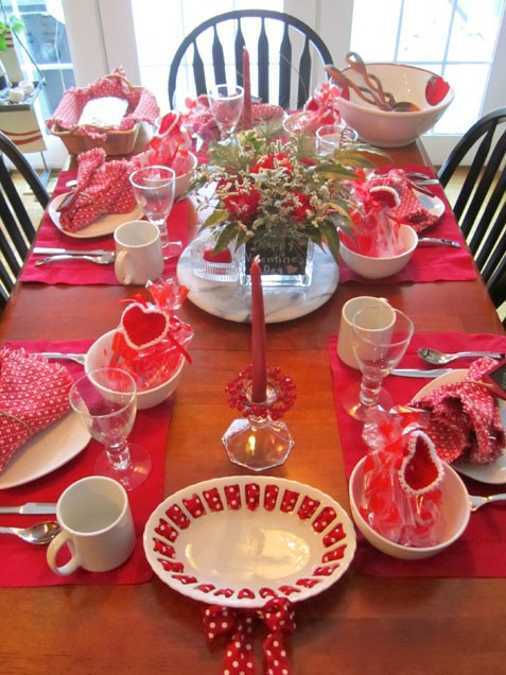 Table decor that feature table covering made with baker’s twine or sheer curtain sweeten up your Valentines Day ideas and adds a soft feminine touch to dining room decorating. Edible decorations, sweets with ribbons in white, lilac, pink and red colors, or heart shaped food make excellent place cards, adding a traditional theme to Valentine’s Day table decoration. 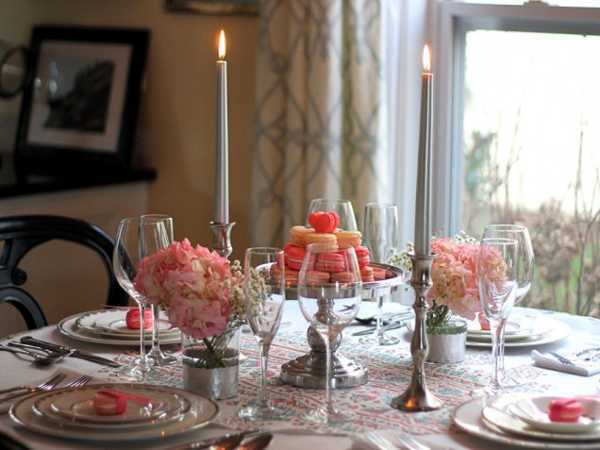 Shiny fabrics and glass tableware add chic to Valentine’s Day table decor. 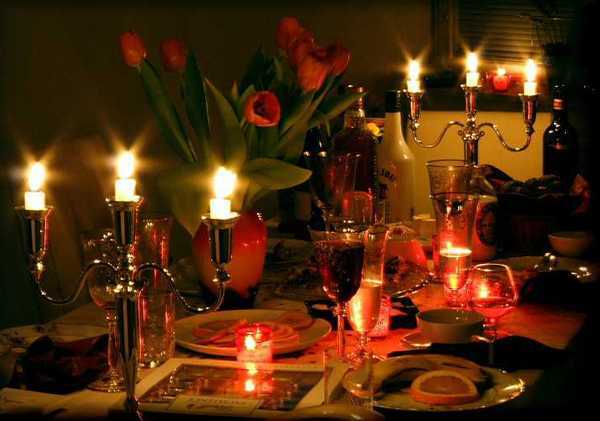 Light curtains that isolate your Valentine’s table create luxurious and romantic atmosphere. Light curtains in white, lilac, pink or red colors, plain or with floral patterns, allow to achieve an illusion of private ambiance. Attach curtains to the ceiling with small hooks and adorn them with ribbons, artificial or fresh flowers or colorful fabric strips. 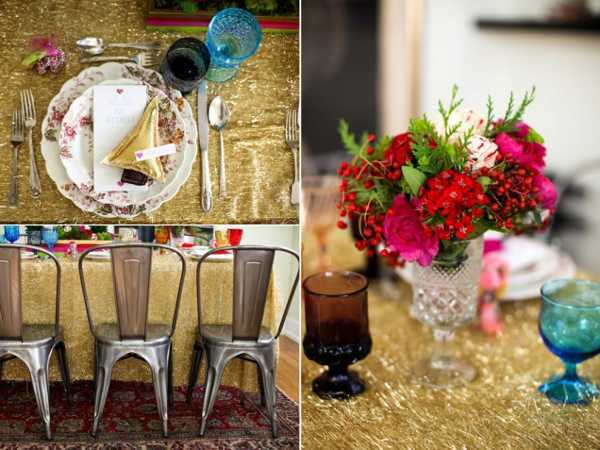 Metallic accents are great for decorating holiday tables. The combination of bold and soft textures and colors feels festive and romantic. 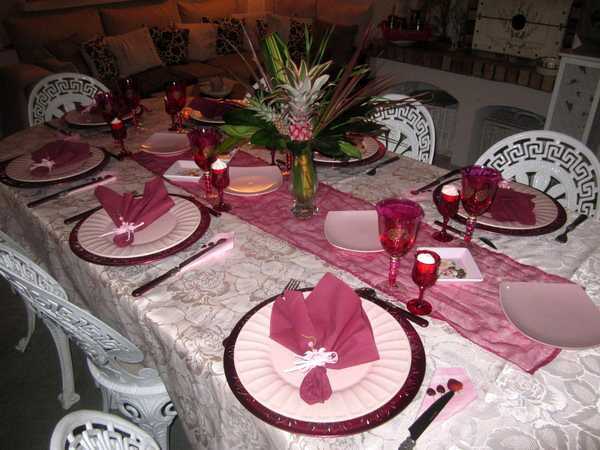 A clever mix of white, lilac, pink and red colors create beautiful Valentine’s Day table decor. 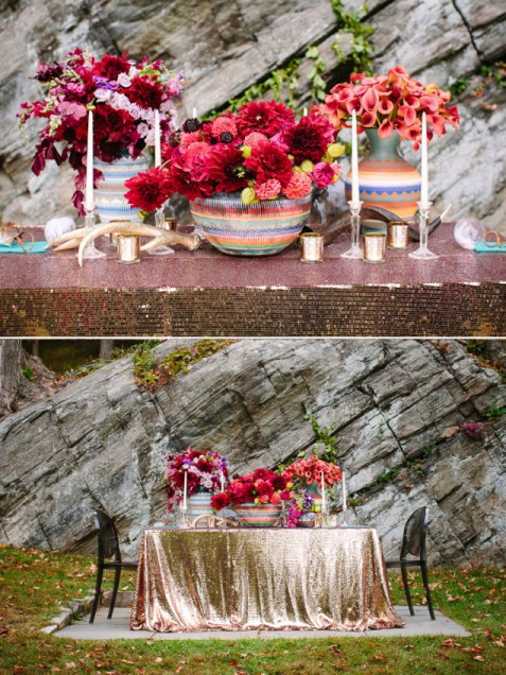 Brighter color shades adds romance and excitement to table decorations and centerpieces. 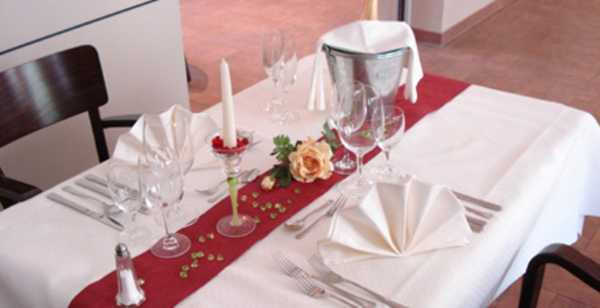 Tender color tones make your table decoration feel more inviting. Cottage style table decor brings unique charm into holiday dining. 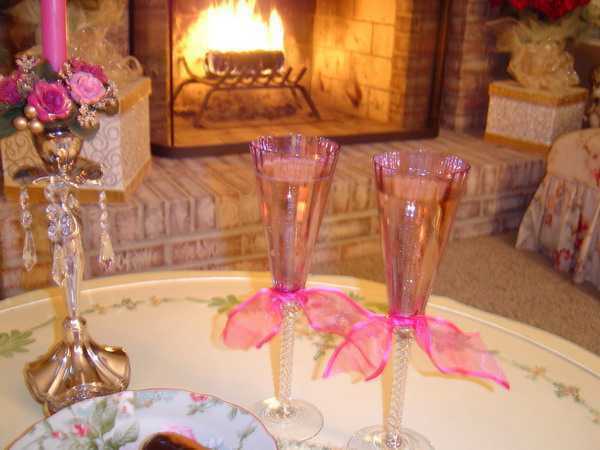 Shabby chic embellishments and decorations in vintage style are great for old-fashioned, romantic and elegant Valentine’s Day table decor. Butterflies and birds, lanterns made of birdcages and twig flatware, napkins with embroidery and flower arrangements reinforce the traditional theme and make fabulous table centerpieces. 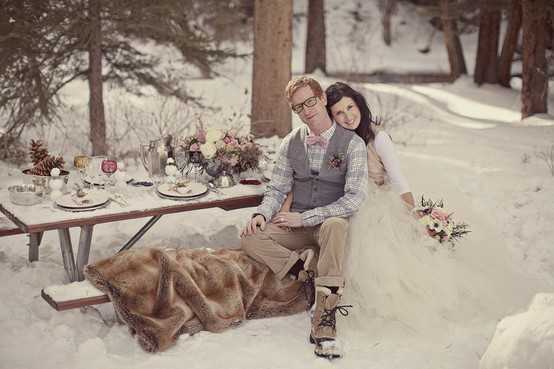 Picnic table decoration is another option to create a surprising and romantic experience. 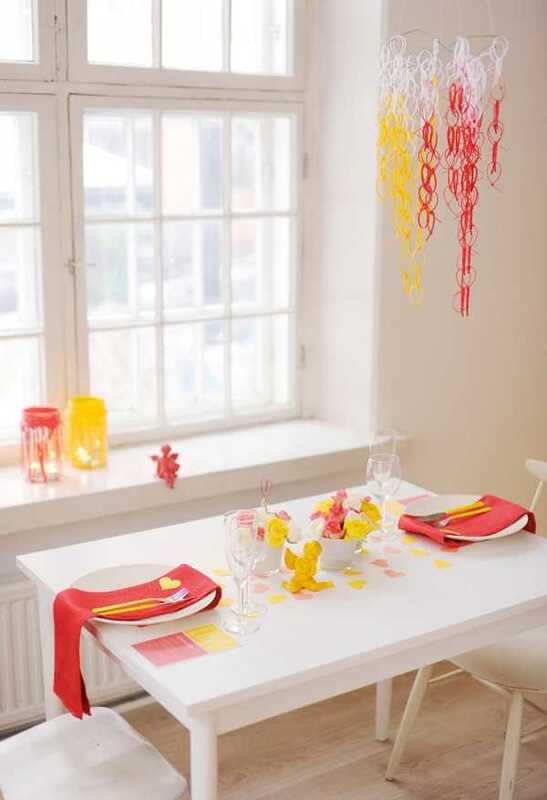 Add your favorite color to white and red, creating Valentine’s Day table decor in contemporary style. The simplicity of table decorations and centerpieces adds modern, clean and elegant look to romantic holiday table decoration ideas. Mixing industrial details with traditional elements blend your existing furniture and decor accessories into versatile and stylish dining room. 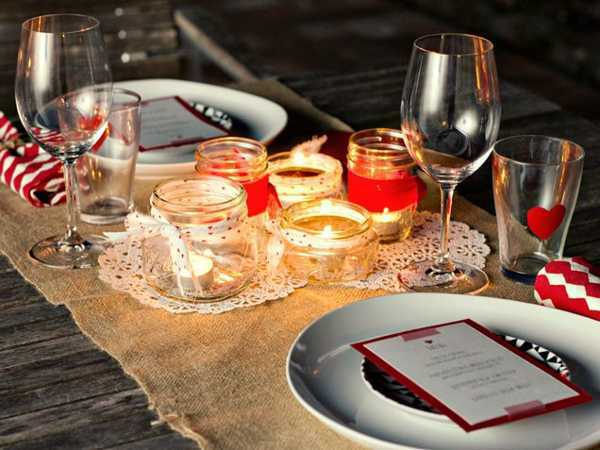 Metal chairs and lighting fixtures, unique vases or candle holders in industrial style add chic and a contemporary feel to modern Valentine’s Day table decoration ideas.